This is a fascinating look at the historical, social and political context of the First Century in Palestine and of Jesus the man. The information will be familiar to religious scholars, but Reza Aslan writes so well and synthesizes so much knowledge that he makes it accessible to the layperson. "For a kid raised in a motley family of lukewarm Muslims and exuberant atheists, [Jesus' sacrifice and resurrection] was truly the greatest story ever told. Never before had I felt so intimately the pull of God. In Iran, the place of my birth, I was Muslim in much the way I was Persian. My religion and my ethnicity were mutual and linked. Like most people born into a religious tradition, my faith was as familiar to me as my skin, and just as disregardable. After the Iranian revolution forced my family to flee our home, religion in general, and Islam in particular, became taboo in our household. Islam was shorthand for everything we had lost to the mullahs who now ruled Iran. My mother still prayed when no one was looking, and you could still find a stray Quran or two hidden in a closet or drawer somewhere. But for the most part, our lives were scrubbed of all trace of God. That was just fine with me. After all, in the America of the 1980s, being Muslim was like being from Mars. My faith was a bruise, the most obvious symbol of my otherness; it needed to be concealed. Jesus, on the other hand, was America. He was the central figure in America's national drama. Accepting him into my heart was as close as I could get to feeling truly American." "The moment I returned home from camp, I began eagerly to share the good news of Jesus Christ with my friends and family, my neighbors and classmates, with people I'd just met and with strangers on the street: those who heard it gladly, and those who threw it back in my face. Yet something unexpected happened in my quest to save the souls of the world. The more I probed the Bible to arm myself against the doubts of unbelievers, the more distance I discovered between the Jesus of the gospels and the Jesus of history -- between Jesus the Christ and Jesus of Nazareth. In college, where I began my formal study of the history of religions, that initial discomfort soon ballooned into full-blown doubts of my own. The bedrock of evangelical Christianity, at least as it was taught to me, is the unconditional belief that every word of the Bible is God-breathed and true, literal and inerrant. The sudden realization that this belief is patently and irrefutably false, that the Bible is replete with the most blatant and obvious errors and contradictions -- just as one would expect from a document written by hundreds of hands across thousands of years -- left me confused and spiritually unmoored." After sharing his personal background, Aslan sets the stage for the First Century in Palestine, which was teeming with political activity and zealotry. The Romans were in control and demanded high taxes from everyone they conquered, which often led to revolts. Anyone charged with sedition against Rome was put to death. Meanwhile, the Romans disliked the Jews and tried to wipe them out. In 70 C.E., Roman soldiers stormed the gates of Jerusalem, massacring Jewish citizens and setting the city on fire. This is important to note because Aslan is trying to correct the long-held belief that the Jews killed Jesus, when it's more historically accurate to say that the Romans put Jesus to death because he was a revolutionary and was threatening sedition by trying to be "King of the Jews." Aslan goes through the Gospel stories and explains how and why they were written. For example, the Book of Mark has a story that Pontius Pilate offered to release a prisoner to the Jews, and instead of picking Jesus, the Jews demanded the release of a murderer named Abbas. Aslan argues that the scene makes no sense, especially since Pontius Pilate was "a man renowned for his loathing of the Jews, his total disregard for Jewish rituals and customs, and his penchant for absentmindedly signing so many execution orders that a formal complaint was lodged against him in Rome." So why would Mark write such a fictitious scene, one that Jews would have recognized as false? "The answer is simple: Mark was not writing for a Jewish audience. Mark's audience was in Rome, where he himself resided. 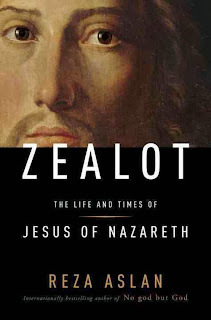 His account of the life and death of Jesus of Nazareth was written mere months after the Jewish Revolt had been crushed and Jerusalem destroyed ... Thus, a story concocted by Mark strictly for evangelistic purposes to shift the blame for Jesus' death away from Rome is stretched with the passage of time to the point of absurdity, becoming in the process the basis for two thousand years of Christian anti-Semitism." That's just one example of how knowing the historical context of the New Testament helps to better understand what was really going on. There are many other insightful details in the book, such as addressing Jesus' birth, his baptism, the prophecies, the title of Messiah, how Jesus died, and the stories of his miracles and resurrection. Each chapter focuses on a different aspect of Jesus' life, and Aslan references the religious texts and historical documents to better understand it. Perhaps I should share that I do not belong to a religion, although I was brought up in the Christian faith and spent my share of childhood in Sunday school. I thoroughly enjoyed reading this book, and I loved learning the details of what some biblical phrases and stories really meant. 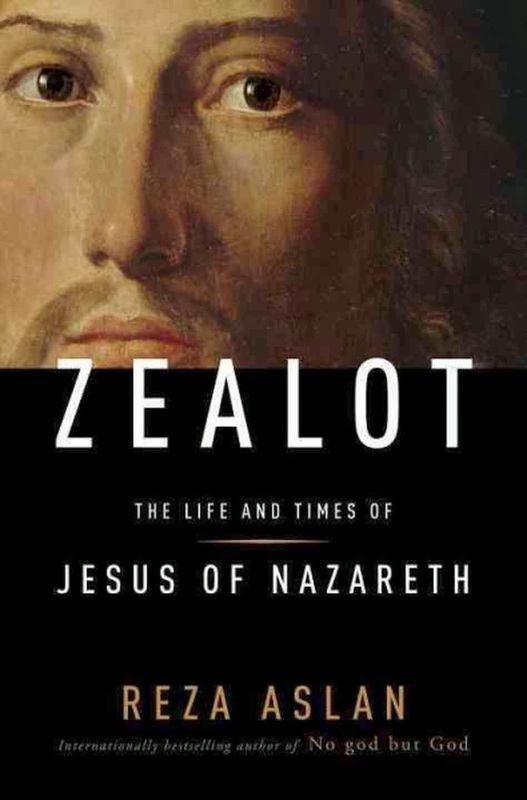 I would recommend it to anyone interested in the history of Christianity.